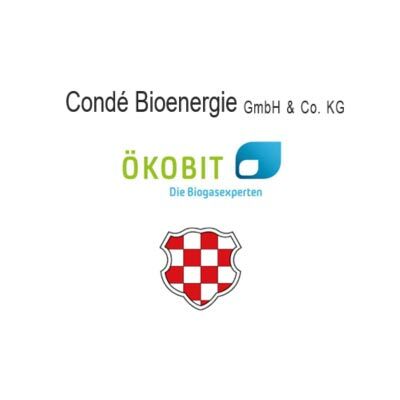 Built and commissioned in 2009 for Condé Bioenergie GmbH & Co. KG, this biogas plant exclusively uses energy crops and agricultural residues such as grass, maize, and cattle manure for the generation of biogas. The produced biogas is converted to heat and electricity in a combined heat and power plant. The heat energy is supplied to a metal processing plant, whereas the electricity is supplied to the grid. The biogas system hardware consists of pre-­‐treatment unit for the processing of input biomass, kernel fermenter, secondary fermenter, and biogas residue storage unit. Biogas residue, both liquid and solid, is supplied to the regional growers to be applied to agricultural fields. Beside climate protection through green energy generation, this biogas plant supports regional economy and help to close the material loops within the region. This is an epitome of Industria Symbiosis and Circular Economy.